Beginning with just the spark to write three trios, composer Carl Vollrath created an intense yet reflective collection of works in Souls in Transitions. 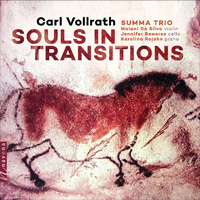 Between Vollrath’s balance of intensity and contemplation in his writing, and the dynamic performances of virtuoso Rojahn and the Summa Trio, Souls in Transitions is a moving performance that demonstrates the power of musical motives and the piano trio. Gunther’s Grass plumbs the imaginary dreamscapes of lost cities, ancient battles and remote frontiers with six new enigmatic improvised assemblages featuring instruments spanning continents and centuries. 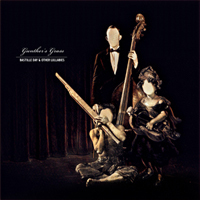 Gunther’s Grass is a collaborative project by Marcelo Radulovich, Christopher Adler, and Scott Walton. 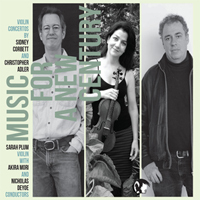 In this CD, noted new music specialist Sarah Plum brings together two new violin concertos – one commissioned by her and one that she premiered in world premiere recordings. These two beautiful, original and quite striking works are destined to join the repertoire and be heard for many years to come. Chinese-born American Lei Liang’s intercontinentally inspired work has been described as ‘hauntingly beautiful’ (The New York Times) and ‘brilliantly original and inarguably gorgeous’ (The Washington Post). 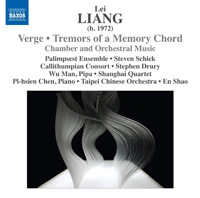 Verge is a musical amulet for Liang’s new-born son Albert. © 2013 Jennifer Bewerse. Design and Web Development by Jennifer Bewerse. 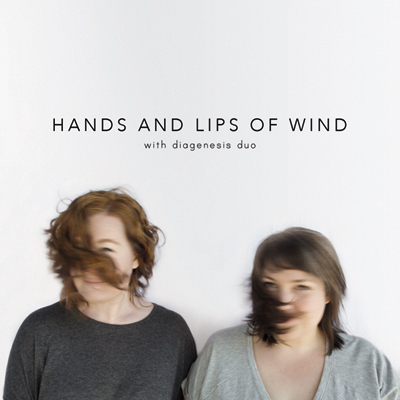 Photos by Kaitlin Moreno.